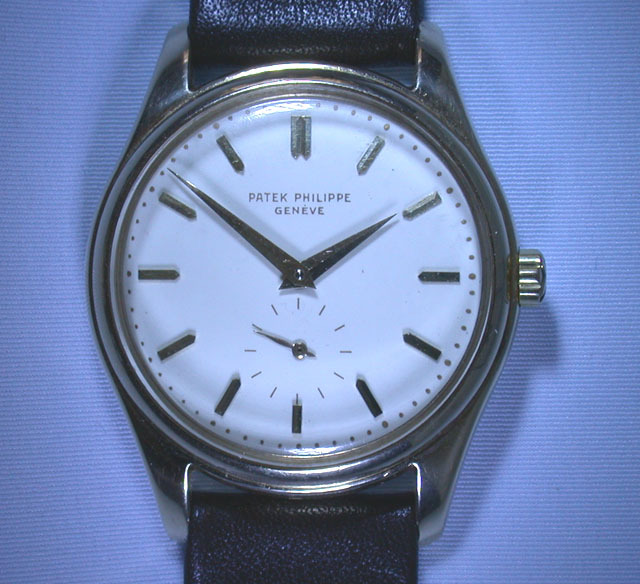 Fine and scarce Patek Philippe reference 2526 porcelain enamel dial vintage wrist watch circa 1957. 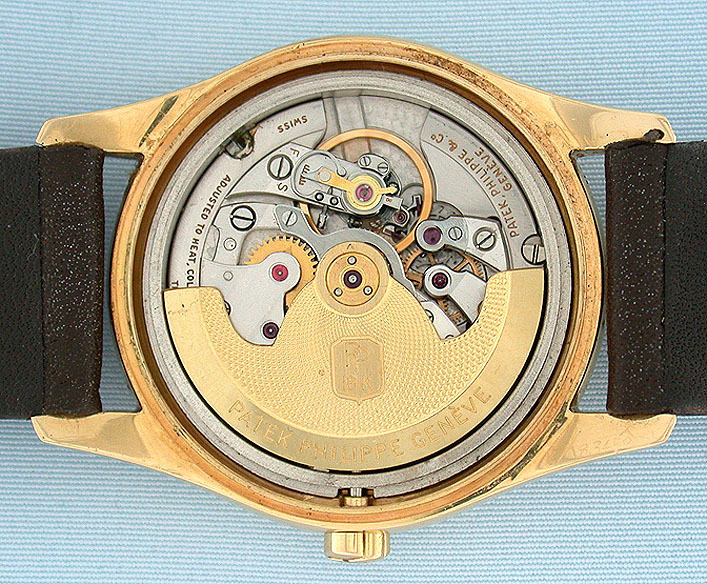 This is the first self-winding wristwatch made by Patek Philippe and was produced in only 580 pieces, including yellow, pink and white gold and platinum. 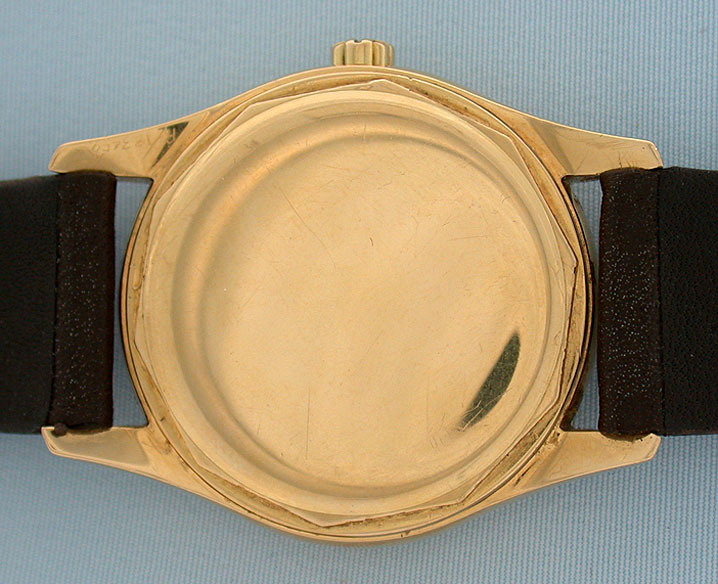 The dial with applied gold markers and gold hands, the signature and minute markers in gold enamel. 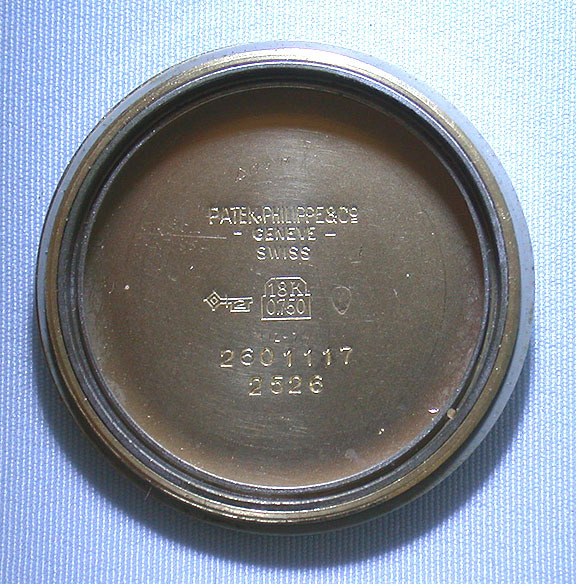 The reference 2526 is the only Patek wrist watch with a porcelain enamel dial, and not all of this reference number have enamel dials. 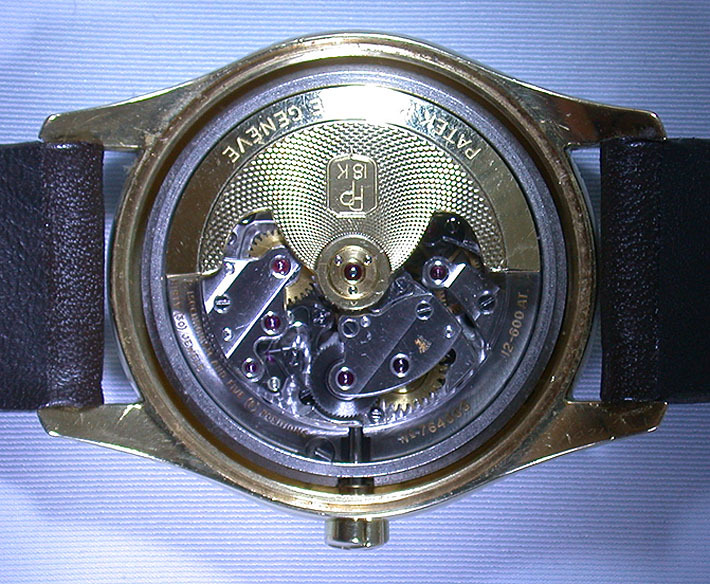 Calibre 12-600AT rhodium 30 jewel 8 adjustment movement with 18K gold rotor in heavy screwback case. 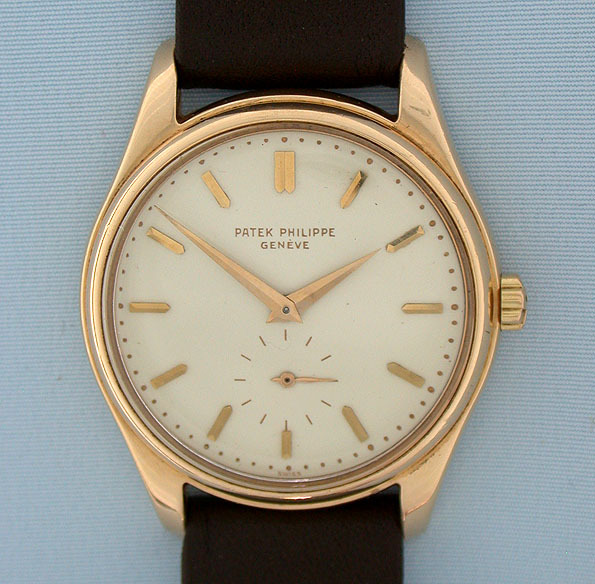 A handsome and rare watch in particularly fine condition. All pictures are of the same watch but with different lighting.